Since my hubby is away in Virginia still, I’ve been catching up on all my girly guilty pleasure TV shows like The Real Housewives of Beverly Hills. That’s right- I’m not ashamed to admit it! I love Lisa Vanderpump! And finally an infamous closet… Ms. Carrie Bradshaw’s closet! That’s an R. Kelly reference just in case anyone was worried about my sexual orientation or if I was indeed physically trapped in a closet. Ever since we went back to IKEA last weekend I’ve been a little obsessed with the master walk in closet. 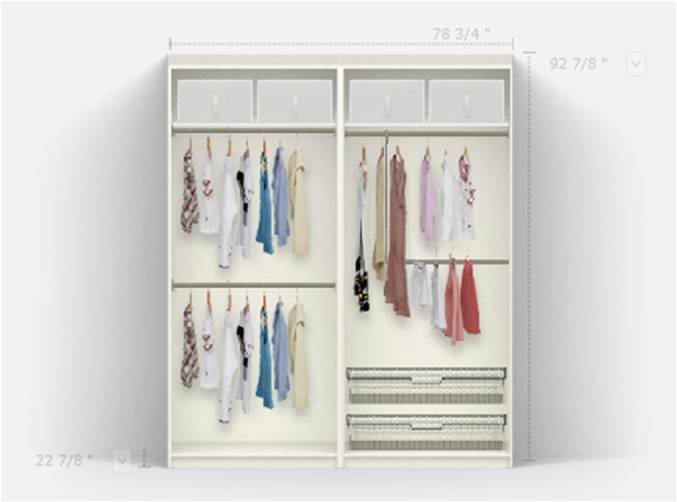 IKEA has fabulous closet organizational systems and products. Our closet measures about six feet deep and almost five feet across and like the rest of the house, has 9 foot ceilings. There is a window in the closet which is an obstacle but also makes for great light in a small space. At our last apartment, Jared and I shared a walk in closet that was probably a little bigger than this one. Jared took up a small space of hanging shirts, suit jackets and pants as most of his clothes are folded stored in drawers. I of course took up a lot of hanging space for shirts, a small space for pants, and a decent size space for dresses and skirts. Shoes were stored in see through boxes that stacked five high and the length of the closet (don’t judge). Bags were perched a top the hanging clothes around the perimeter of the closet. There were two baskets of accessories- scarves, sunglasses, etc. and a pin board with hung necklaces. This is the left side of the closet. This will house all my clothes & accessories. This is the back wall of the closet. 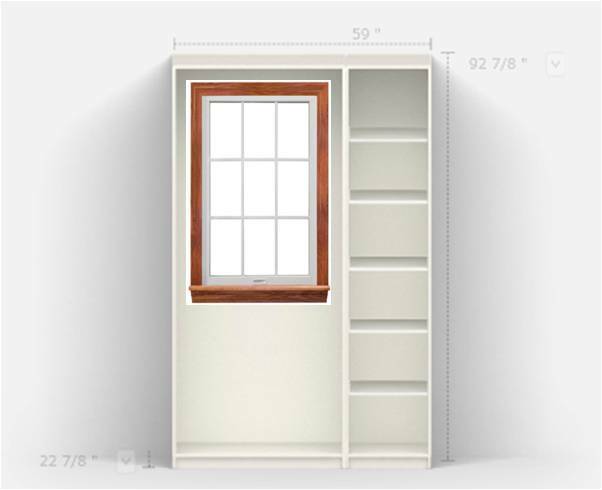 The shelves flanking the center unit will be corner units. The one on the left will house my dresses. The right will have drawers for all Jared’s clothes and shelves for bulky sweaters. 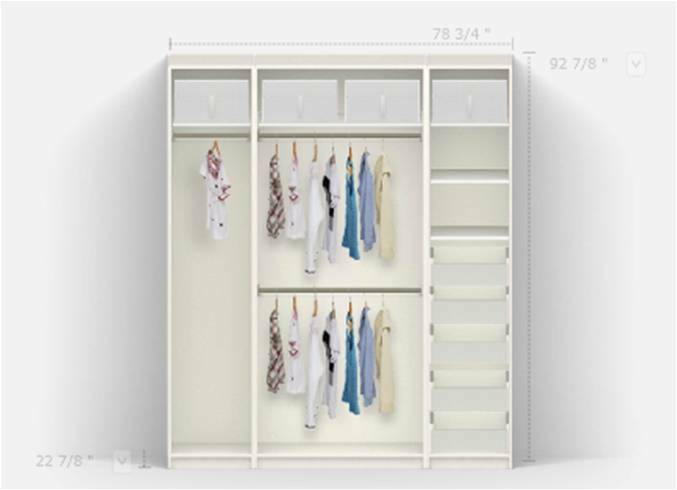 The center unit will house all Jared’s hanging clothes and shoes. This right side of the closet has the window. I can stack my see through shoe boxes below the window at least. Then the remaining small corner will house all my bags. Keep in mind, all measurements have not been figured out but in an ideal world, this will work! Here’s hoping.